What came first - the chicken or the egg? People have been racking their brains to solve this dilemma for ages. The United States may just have the answer, though it didn't come from a positive situation. There are plenty of chickens, but no eggs. The country is experiencing a nation-wide shortage of the delectable breakfast foods and will need to import eggs to meet demand. The agricultural sector has had its ups and downs, but its current down is serious enough to command the attention of news channels across the country. Three deadly strains of avian influenza have infected American birds everywhere. Since December, nearly 50 million birds have died from the disease, and most of those were egg-laying chickens, National Geographic reported. The virus has been found on commercial farms and in the wild in 15 states and Canada and has made its way from California to the Midwest, where most of the eggs are produced. According to the Boston Globe, the Department of Agriculture has identified more than 200 cases of the disease. Prices have nearly doubled for both consumers and businesses. Since the beginning of May, wholesale eggs have jumped from $1.24 to $2.55, and store-bought dozens can be as much as $5 each, the Globe reported. Companies, such as When Pigs Fly Bakery and Sweet Tooth Bakery, have seen their weekly bills skyrocket, a $650 and $45 increase, respectively. At the moment, businesses may be experiencing more downfalls than consumers. Eggs are sold in two different forms - liquid and shell. The latter are the ones you find in the grocery store, but liquid eggs are used by countless companies to create their products, Logistics Viewpoints explained. Most of the avian flu deaths have been at liquid egg facilities, which have caused prices to jump 240 percent since May. Two-thirds of eggs in the U.S. come in shell form, so consumers' prices haven't increased too much, but they should expect to face shortages in the near future. In an attempt to quell the problem, the U.S. will look to global sourcing. The nation will receive its eggs from several countries in Europe, including France, Spain and the Netherlands. However, this may prove difficult as regulations vary between the countries, Reuters reported. European egg producers will need special licenses to be able to export to the U.S. Hopefully, once they've received proper allowance, these countries will be able to supplement the nation's production. However, situations like these may call for a restructuring of the entire supply chain. The close confines the animals are kept in allow the virus to spread easily, which leads to the destruction of entire farms. Brad Moline, a turkey farmer in Iowa, lost his 56,000 turkeys to avian flu and - by extension - two-thirds of their yearly income, according to National Geographic. The birds were kept in 12 barns, which would put nearly 5,000 turkeys in each. 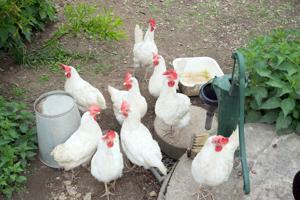 Several agricultural organizations have considered developing a vaccine against the virus. However, that could be just as detrimental. The U.S. exports poultry to other countries, but those locations refuse to accept vaccinated birds, the source claimed. While they may not show symptoms, the chicken and turkeys may still carry the disease, which means they could spread it to other unvaccinated animals. This could lose the U.S. $3 billion in trade revenue. The loss may not be the worst that could happen. The American economy has already lost $3.3 billion because of the avian flu, and the damage is not expected to stop anytime soon. Analysts have determined that the cause of the virus is wild birds from Canada migrating to the U.S. When people, objects and other animals come into contact with those birds, they transmit the disease. Once the fall comes around, more cases may be discovered unless measures are taken to prevent the spread of the virus.